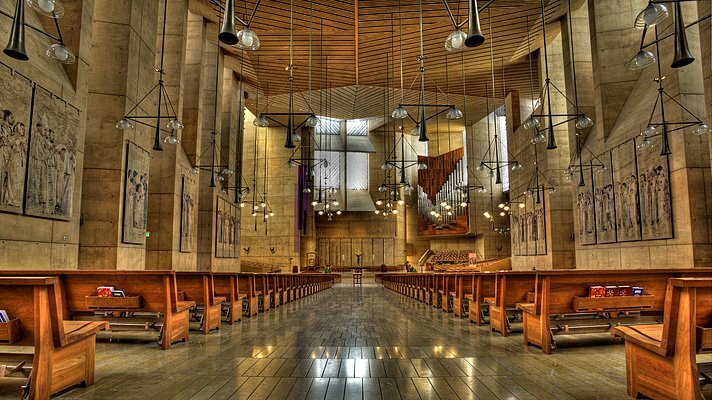 The Society for Catholic Liturgy is pleased to announce its 2016 annual conference, to be held at Our Lady of the Angels Cathedral in Los Angeles. We are especially pleased to host keynote and plenary presentations by Archbishop José Gomez (Los Angeles), Bishop Abdallah Elias Zaidan (Maronite Bishop of Eparchy of Our Lady of Lebanon of Los Angeles), and Sister Esther Mary Nickel, R.S.M. 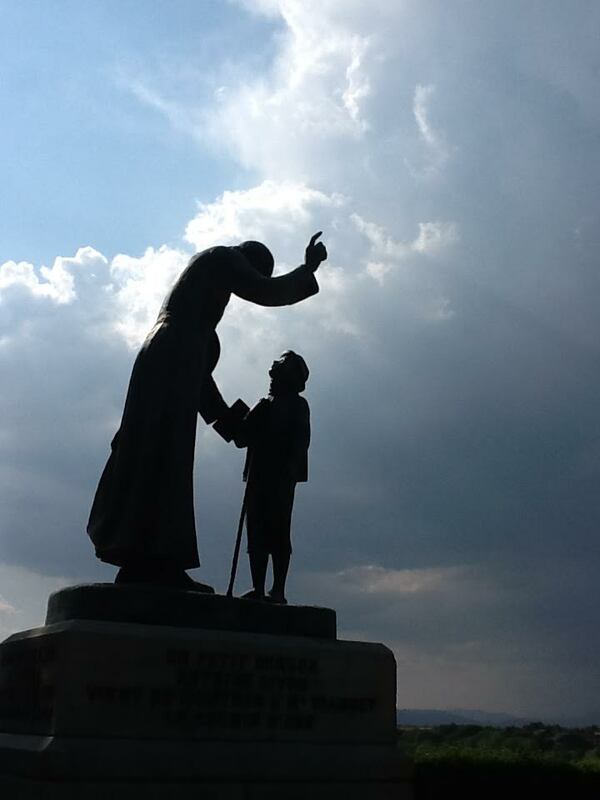 (St. John Vianney Seminary, Denver), as well as an update on the liturgical activities of the U.S.C.C.B. by their representative Fr. Andrew Menke. The conference will include sung liturgies in both the ordinary (pontifical) and extraordinary forms of the Roman rite as well as the Maronite rite (pontifical), along with sung vespers. Saturday features a Spanish-language track. Registration, more information on the conference venue, and bios of our distinguished speakers are available at the SCL's website: www.liturgysociety.org. 6:00pm Reception and Banquet, after dinner talk by Sister Esther Mary Nickel, R.S.M. and the screening of Prophet for our Times. Copyright © 2016 Society for Catholic Liturgy, All rights reserved. You are receiving this email because of your interest in the Catholic Sacred Liturgy. Soon to be canonized Elisabeth believed that with the help of Mary, our lives can become a great hymn of praise. She held this as true for her married sister, a young mother, as she did for her fellow Carmelite nuns. In fact, on the feast of the Assumption of Our Lady, she went on retreat and during this retreat began to commit some of her convictions about becoming the praise of God's glorious grace to paper. In her wisdom, the very source of our existence is in the mysterious canticle of praise offered by the Son to the Father in the power of the Holy Spirit. This great canticle is revealed on the Cross and the whole Christian existence is taken up by its mystery. By the Cross of Christ, we have the opportunity to be in harmony with ourselves and to reverberate with divine melodies that echoed before the foundation of the world. Mary, Elisabeth contends, knew this secret more than any other created soul. She stood at the foot of the Cross and heard the melodies echoing in her Son's heart more than anyone else ever could. Assumed into heaven, she is ready to teach us her secrets. In this way, she is the Gate of Heaven -- because to have the hymn in Christ's heart echo in our own is to know the whole life of heaven already by faith. Today it is very important to allow this teaching to wash over us and baptize the way we see the gift of life. In opposition to Blessed Elisabeth's view of life, the most powerful people of our time believe that individuals exist as no more than purely functional cogs for the machinery of the world. There is no real music -- for the most beautiful music surprises us. But among the powerful, there can be no room for surprise. In this vision of industrialized and commercialized humanity, government and other societal institutions compete for an absolute claim over one's own person. Probability and predictable human behavior replace authentic freedom and virtue. Everything is about better technology so that human behavior can be better controlled and manipulated. The Assumption of the Blessed Virgin Mary challenges this industrialized vision of humanity. It is, in itself, a total surprise for before the resurrection of Christ, the witness of humanity caught up in heaven was the rarest of human experiences. No other woman was ever raised up from this world below before. The fact that a poor, humble and uneducated woman was raised above this world is a sign that humanity is made for heaven, above this world, above the visible, above the produceable, above the consumable, above the measurable, and above even the probable. This "above" is not a spacial reality but a reality of power, essence and beauty. Not the slave of material and visible existence, but above it, the uniqueness of each human person, the unrepeatable splendor of this particular enfleshed soul, precisely as an embodied spirit, is a wonderful wholeness known and desired by God. Here, if we let it, the Assumption of the Mother of God and our Mother in Grace can confirm in the most tender and human way that God is the beginning and end of each human heart, that we are only pilgrims in this world below, that our true homeland awaits us in the dawning of a new heavens and new earth -- the likes of which no one has ever fathomed or even remotely conceived. For Blessed Elisabeth, Mary teaches our hearts the secret songs that Jesus offered the Father from the Cross. These are songs of obedient love, a hidden music so subtle and gentle that it is at work changing everything even now. In every hardship and renunciation for love, in every trial and sacrifice for what is good and true, space is made for this music to resound anew. It is the music of an obedient and freely given love, a salvific music that instills hope in the hearts of men and women. With patient kindness, the Lord wants the whole of humanity to know the unspeakable harmonies of his unvanquished love. Created in His Image and Likeness, we are capable of saying "yes" to Him and to allowing Him to radiate our whole existence with these harmonies and even to raise us up to His very life. This is heaven, a state of existence into which we can be assumed by His love at work in us. What He has realized perfectly in Mary, He yearns also to realize in us too. Because of the "yes" of Mary, His desire to implicate Himself in our plight was realized. Because one heart was completely open to the eternal melodies of God's heart, all hearts now have the possibility of allowing these same strands to echo within. And assumed into heaven, this Heart beating with maternal love is not remote from us but very close. Indeed, Christ has given us His Mother's heart as a great gift. For in Christ, the heavens and the earth have embraced - and the praise of His glory is resounding on earth. The question in the parable of the Sheep and the Goats, “When did we see you, Lord?”articulates a profound hunger for the truth that haunts the Church today. This same question lives in the French novelist Georges Bernanos's Diary of a Country Priest. In this work, Bernanos explores how the gift of grace is such that even a priest can be completely misunderstood, and the meaning of his death beyond the power of even his own religious imagination to fathom. Just as Bernanos's country priest's life was depicted under the veil of obscurity, the life of someone who spends himself serving others out of devotion to Christ can suddenly end in a manner that is difficult to accept. It is here, before this precipice, that prayer humbles us before the mysterious designs of Divine Providence secretly at work in each soul. Recently, I went to the memorial mass of a priest and dear friend, Father Peter Carota. Years ago, in answer to the prayers of a small parish prayer group, God brought him as a layman to Holy Cross Church in Santa Cruz, CA. He began to feed the hungry in our community and draw many of us with him into the joy of this work. Eventually, a small community of the most unlikely group of friends formed at the Saint Francis Soup Kitchen. Peter had us spending holy hours together, going to daily mass, praying the liturgy of the hours, feeding the hungry, helping the homeless find shelter, serving the mentally ill, distributing clothing, helping with crisis pregnancies, and marching in public protests against abortion and drug trafficking. We also consecrated ourselves to Mary together and formed deep spiritual bonds of friendship that helped us discern our vocations and grow in holiness. I joined the staff of the soup kitchen after trying religious life. Filled with big life questions, but wanting to use my life for the service of God, I was drawn to Peter because he did more than simply think and talk about such a gift of self: he was busy pouring himself out for others all the time. His was a love for God expressed, in action, in the flesh. After a couple weeks of hard work, we would periodically withdraw for longer periods of prayer in an old barn that a local family let us fix up and use for retreats. During one of these periods of prayer, Peter shared how his faith became more real when he responded to a call from God to help with orphans in Brazil some years before. The idea of doing something so different from what he had done until then came up in conversation but was confirmed in prayer. He also shared that dropping all his own plans to respond to this call opened up his spiritual life to a more radical following of the Lord. God's love was not a remote ideal for Peter, it was an expressed and present mystery that evoked a generous gift of self in the concrete here and now. God was always implicating him in the plight of his neighbor. He had been a successful businessman who quickly realized all his earthly desires, but in Brazil he came to desire only to serve God even more completely. Out of devotion to God, he made a personal commitment to celibacy and to poverty. He also felt the Lord call him back to Santa Cruz to start a soup kitchen, a pro-life clinic for women struggling in difficult pregnancies, and a home for the homeless mentally ill. About the time that I had joined the staff, all three of these dreams were realized. Mother Teresa would even call on occasion to encourage him and his staff. Now, on this retreat, Peter shared how the real hunger that he saw was not for earthly food but for spiritual. He had fed people's bodies, but not their souls - and his heart was pierced by their need for someone to minister to their faith. He believed that God had called him to become a priest. His pathway to the priesthood was not easy. Many in the Church considered him too radical and others too conservative in his piety. Those judgments simply never resonated with me. He was above all, a man who loved God and loved all those God sent to him. True, his life of prayer and poverty was intense, but it also gave him spiritual freedom to serve those most in need. In fact, he could bridge any culture, any station of life, any desperate circumstance. He had the art of connecting with those who most needed a word of hope. He did not always say things people wanted to here, but he always said what they needed to hear. He did so straightforward and humbly. Eventually the Diocese of Stockton sponsored him and he served as a priest for many years, maintaining the same discipline that we observed in the Soup Kitchen Community -- but now offering it as a parish priest, forming his parishioners in a deep and abiding life of prayer. He discovered the beauty of the ancient observance or extraordinary form of the Roman Liturgy. He was captivated by the profound reverence and order of the ritual. He loved the mystery of the Latin. He discerned the lack of beauty in our culture and even the failure to fully appreciate beauty in the Church. He knew that people were hungry for this beauty, that they needed something to lift them up above the banal work-a-day material world. Soon he became zealous that others should experience the splendor that he had come to treasure. His love for the Latin Mass, however, just like his radical discipline of life, was not always appreciated. He eventually felt that he needed to leave the active ministry in his diocese to devote himself to even deeper prayer and to promoting the form of the mass that had so spiritually benefited him. He who had served the homeless and mentally ill now found himself without a home and under great mental stress. He lived hermetically for time in a remote location. Whether he received sufficient counsel during this time, I do not know, but something snapped physically with his body, and perhaps in other ways too. Like the priest depicted in Thanatos Syndrome by Walker Percy, he was drawn to more and more severe forms of penance, while at the same time he suffered from self neglect and a refusal to eat. He was given permission by his Ordinary to remove feeding tubes at one point, and died soon after. Similar to the novel Diary of a Country Priest, this story does not have any apparent happy ending. On the surface, it appears that a broken priest who helped so many other souls somehow lost his will to live and would not take care of himself. He saved others but... Was it discouragement, a mental breakdown, a rash attempt to do penance? I do not know. Whatever he was wrestling with at the end and whatever his failures might be, we can not say that his actions in his last days ultimately defined his life. We have good reason to hope that those who have given themselves to God, even when they seem to make rash judgments, are defined not by their failures or inadequacies, but, even when their response is completely hidden from us, by the mercy of the One who calls to them. My own faith is part of the fruit of Father Peter's love for God in action. The ways that I was blessed are only a very small part of a much larger story involving the wonderful things he accomplished as a parish priest, and all those whose distress he relieved as a layman -- God knows all of this better than anyone else. He also knows the mysterious Cross that Father Peter carried in the end in a way that no one else can. Whatever went on in the last days and hours of his life, I also know that there is a mysterious voice that resounds and fills our brokenness if we let it. It sings in the difficult darkness of our times. That voice calls out to surprise the un-knowning servants of the Lord, who must also include men and women like Father Peter: "Come, thou blessed of my Father ... when I was hungry, you gave me to eat."